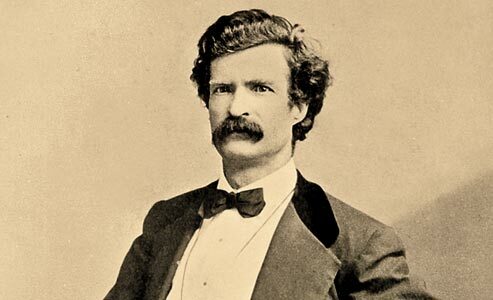 Samuel Clemens rode into Virginia City, Nevada Territory, in late 1862 with the idea of writing for the Territorial Enterprise, while Mark Twain rode out in May 1864, having formulated a writing style and an identity that would last a lifetime. Two schools of scholarship debate the question of how and why Clemens took his famous nom de plume, Mark Twain, 150 years ago. Did it come from his early riverboat years or his saloon days? In the early 1870s, Twain declared the pen name came from his Mississippi riverboat years. A reading of mark twain meant two fathoms of water, barely safe, but the boat could continue toward deeper water. Twain supplied a reasonable explanation; he said he “laid violent hands upon” the pen name after the death of riverboat Capt. Isaiah Sellers, who had used it in writing up riverboat news. However, Sellers was still alive in early 1863 (he died on March 6, 1864), when Clemens pilfered the name. The first recorded usage of it appeared in a letter Clemens had written to the editors of the Territorial Enterprise, which was published on February 3, 1863. Ernest Leisy, writing in 1942 for American Literature, added to the case. He researched New Orleans newspapers and found no use of the alias “Mark Twain.” Both Leisy, from examining relevant newspapers, and Benson, from reading the Sellers log book, reached the same conclusion; the name Mark Twain was not in use during Clemens’s riverboat years. Effie Mona Mack, in 1947, brought scholarly attention to a curious memory from Nevada’s Eureka Daily Sentinel. In 1877, the Sentinel’s editor, George Cassidy, had characterized Clemens as a bohemian during his Virginia City days. 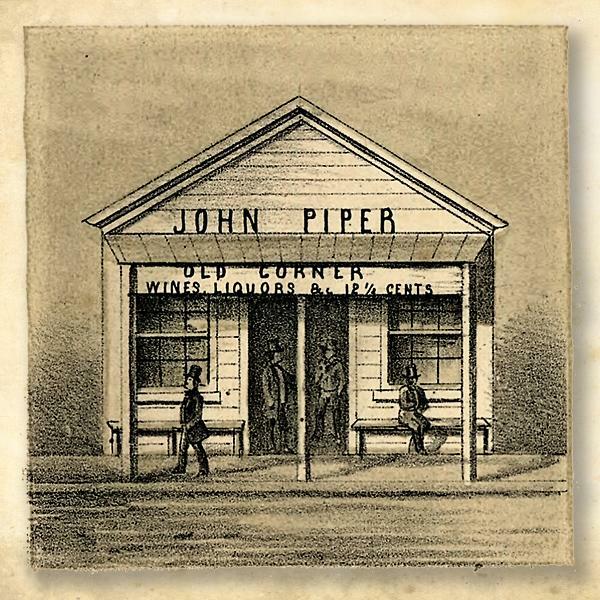 He and other lesser-known writers had frequented John Piper’s B Street one-bit saloon. Recalling Clemens’s habit of having Piper mark drink orders on a chalkboard behind the bar, the editor said the writer ordered two drinks at a time, which inspired the name Mark Twain, from mark in two. Cassidy was a well-respected newspaperman whose stated reason for making the comment was to elaborate on Twain crediting the nom de plume to his riverboat days. Cassidy found Twain’s story “too thin,” or incomplete. Within weeks of Cassidy’s claim, the Daily Alta California printed Clemens’s strong rebuke of the story, which affirmed his debt to Sellers for the pen name. Cassidy did live in the Virginia City area during the time Twain wrote for the Territorial Enterprise. Paul Fatout, in Mark Twain in Virginia City, believed Cassidy’s story to be true and found additional support for a saloon origin in another newspaper. Although Fatout placed a different Johnny Doyle in Dayton, Nevada Territory, in 1863 and placed this John E. “Johnny” Doyle in a Virginia City saloon in 1864, the Sacramento newspapers of the time help untangle the confusion as to which Doyle is being discussed in the Transcript article. In 1865, John E. Doyle killed a man in self-defense at his own Doyle and Goodman’s saloon on C Street, Virginia City, which the Sacramento Daily Union reported on March 14, 1865. 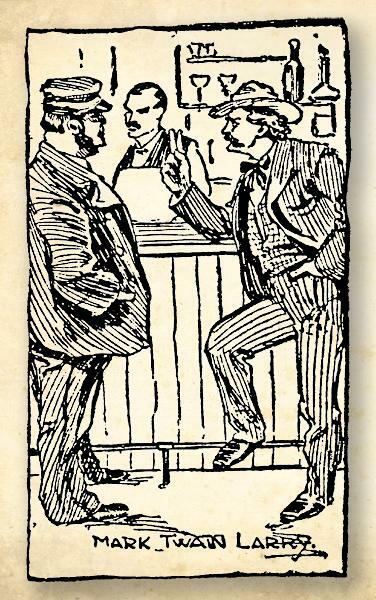 The article reminded readers that Doyle was the same well-known barkeep, previously from Sacramento’s Magnolia, which Doyle had owned in early 1863. 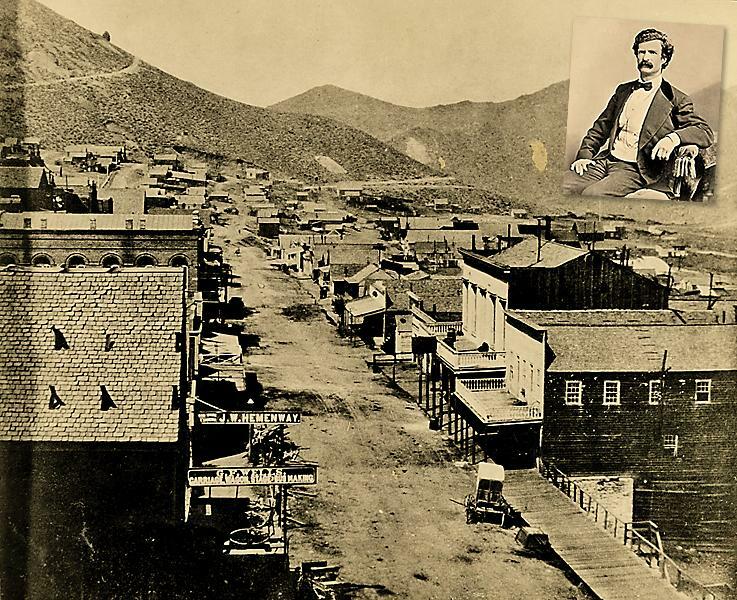 Doyle probably fled Sacramento for Virginia City in 1863, where Doyle’s time on the Comstock overlapped that of Clemens’s. In all likelihood, the newspaper reports of the Doyle saloon shooting may have stimulated the memory of the “Washoe genius” in the 1866 Transcript. “Doc Cole” was a well-known druggist with a long Comstock career beginning in the early 1860s. Pat Lynch was the proprietor of the Niagara Saloon and Dance Hall in 1863 and Tom Peasley, who arrived in Virginia City in early 1860s, owned the Sazerac saloon on C Street until his untimely death in 1866. Of the men listed by Sawyer, Davis didn’t arrive in Virginia City until 1874; although, while working as a Carson City newspaper editor, Davis did meet Twain in later years. Also, Twain did not meet Harte until 1864, after he had made his way to California. 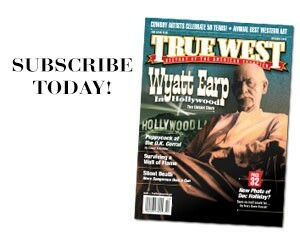 The contemporary notation of “Mark Two” for Twain in the Daily Union, plus Sawyer’s recollections, the Doyle saloon story and ultimately the Cassidy column may all have flaws as substantiation of the saloon story for the origin of Clemens’s nom de plume, but they are surprisingly consistent. Taken together, these accounts imply a widespread proliferation of the same story—that the pen name derived from mark two, for an order of two drinks at a time. The truth in all of the versions may be Twain’s drinking pattern. Why would Twain not only fabricate the origin of his pen name, but then repeat the Sellers story more than 3,000 times, according to his count? His motivation might have been his respectable life on the East Coast. The Sellers story saved him embarrassment over his wild West years. 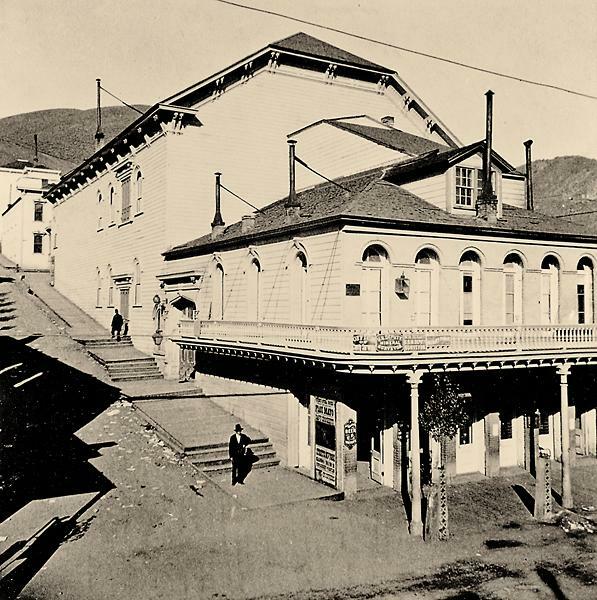 An association as a patron of Piper’s bar may have also meant an association with Piper’s brothels, as Piper was also the largest brothel owner in 1863 Virginia City. Similarly, Peasley was the paramour of courtesan Julia Bulette. Twain’s courtship of Olivia “Livy” Langdon during the fall and winter of 1868 was based, in large part, upon his determination to reform. In a letter to Livy’s father, he admitted his embarrassment about his past out West: “I think that much of my conduct on the Pacific Coast was not of a character to recommend me to the respectful regard of a high eastern civilization…,” author Jeffrey Steinbrink notes in Getting to Be Mark Twain. Twain’s marriage to Langdon required a solid story upon which to hang his choice of nom de plume. The fact that Sellers was alive when Twain “laid violent hands” upon the pen name was of no concern. What mattered was distancing his respectable East Coast life from his freewheeling days in the West. Territorial Enterprise editor Joseph Goodman visited the newlyweds in Buffalo, New York, shortly after their wedding. Goodman recalled Twain sneaking in a bottle of whiskey into his room, as Langdon had banished liquor from their home. Goodman exploded with laughter when Twain said grace before dinner. As soon as they were alone, he prodded Twain on his change of heart. Twain’s reformation continued during the early years of their marriage, even as the writer’s ability to draw on his Western experiences while advancing his career remained the backbone of early literary successes, including The Jumping Frog of Calaveras County and Roughin’ It. Twain furthered the Sellers account in Life on the Mississippi, published with disastrous results, the year before Adventures of Huckleberry Finn would rescue his legacy. Twain might have abandoned his Sellers story, under threat of his Western acquaintances bringing up his past, but he chose not to open that can of worms during his life. As for Livy, Twain noted in an 1875 letter to his sister, that he had at last taught her to drink a beer every night. He hoped to also encourage the children in the habit. Carolyn Eichin owns a bed and breakfast in Virginia City, Nevada, with her husband. She has been published in The Las Vegas Review-Journal’s Nevadan and Nevada In The West Magazine. Before Twain married Olivia Langdon (left) in February 1870, he had promised to cut alcohol out of his life, if she deemed it necessary. 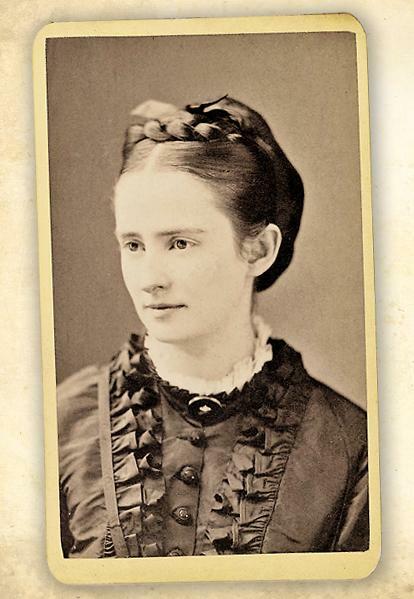 In a painful March 14, 1871, letter to Olivia’s foster sister, Susan, Twain revealed having to help Livy walk and accomplish the most basic tasks. Perhaps illness forced Livy to overcome her early religious training in abstinence, as Twain revealed, “Livy drinks ale, now, for a tonic—suggested it herself, & the Dr., as usual, agreed.” She would suffer from ill health throughout her life. This 1861 sketch by Grafton T. Brown reveals what Piper’s saloon possibly looked like at the time when Mark Twain adopted his pen name in 1863. The front door is open in this 1878 photo of Piper’s Corner Bar, one of the many saloons Mark Twain reportedly frequented during his time in Virginia City, Nevada. John Piper’s saloon on B Street was one of the places Mark Twain (inset) frequented while working as a Territorial Enterprise reporter in Virginia City, Nevada, and it is a possible birthplace for his nom de plume. Just like Twain wanted to clean up the Wild West aspect of his life story, the city alderman wanted to reform the downtown area near Piper’s saloon. In 1863, they created a red-light district that limited prostitution to D Street, north of Sutton Avenue. Small houses (cribs) line D Street in the background of this 1865 photo, looking north. 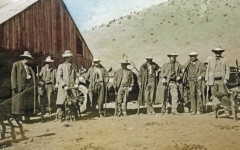 The Power of Redemption A wilderness shoot-out between gold miners and lawmen evolved into a tale of feud and conspiracies. 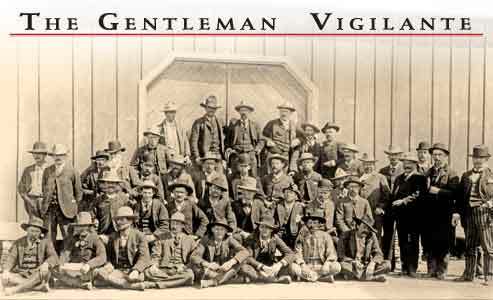 The Gentleman Vigilante How a gentle trader-turned-cattle baron tamed the West and became the oldest vigilante to fight in the notorious Johnson County range war. 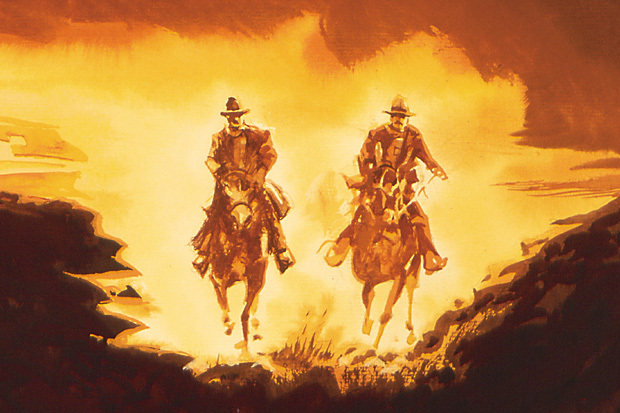 The Last Ride Butch & Sundance play their final hand.